I have sort of abandoned this blog for the past 7 months. Instead I have been concentrating on The I-90 Project, a photographic narrative of Interstate 90 from Seattle, Washington to Butte, Montana and back again. There are 1,188 images (the number of miles traveled) taken over four years. I am at the halfway point of it and thought this was a good time to share it here. It takes up a lot of my time so I have not been able to spend any on other posts, but I have tons of work to share and should be able to start again soon. Here’s a cut and paste share of the midway post to The I-90 Project, there are 593 other posts I encourage you to check out or at least read the home page to learn more about what the project is about. Mile 594, Butte, Montana. 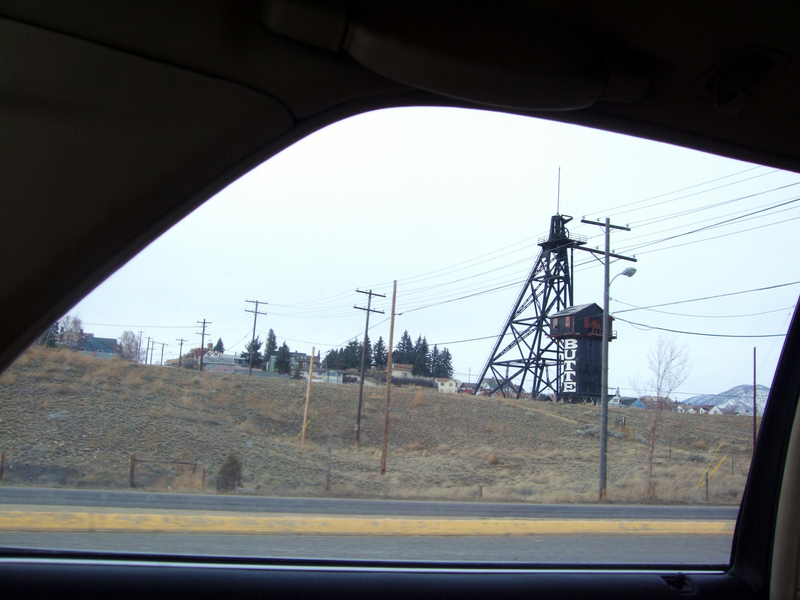 The Travona Headframe. This is the halfway point of The I-90 Project. The project takes much more work than I expected but is also much more satisfying than I expected, especially this last section from Spokane to Butte. I have made a collage of all the map texts. I most often turned toward Romantic and Victorian poets for this stretch of the journey, probably due to the atmospheric nature of many of the photographs. I borrowed samples from John Keats, William Blake, Samuel Taylor Coleridge, William Wordsworth, Lord Byron, Christina Rossetti, Elizabeth Barrett Browning, Edgar Allan Poe, Matthew Arnold, especially Dante Gabriel Rossetti, Alfred, Lord Tennyson, Percy Bysshe Shelley, Robert Browning, and Emily Brontë. Plus Carl Sandburg, Charles Baudelaire, D.H. Lawrence, James Joyce, Charles Bukowski, William Butler Yeats, William Shakespeare and my beloved Emily Dickinson. The dream of Wonderland of long ago. This hidden tide of tears. The thoughts pass, an empty cloud!